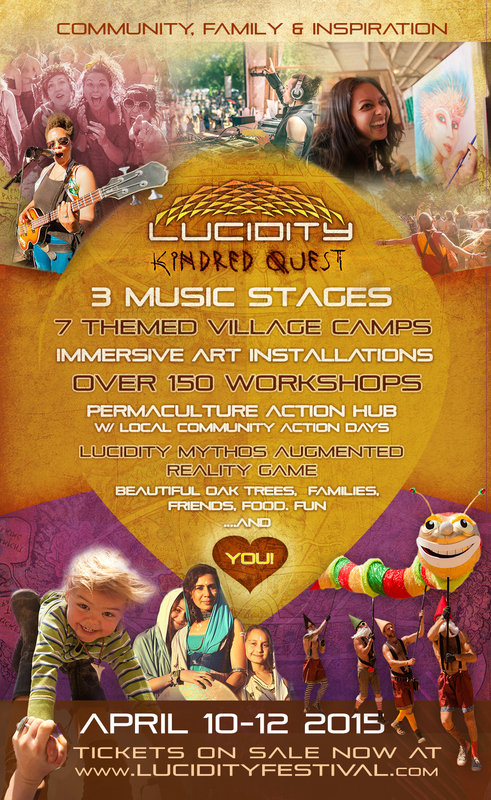 Lucidity announces our full event schedule so you can plan out your weekend full of learning, music, movement, and fun – check out our interactive schedule here! 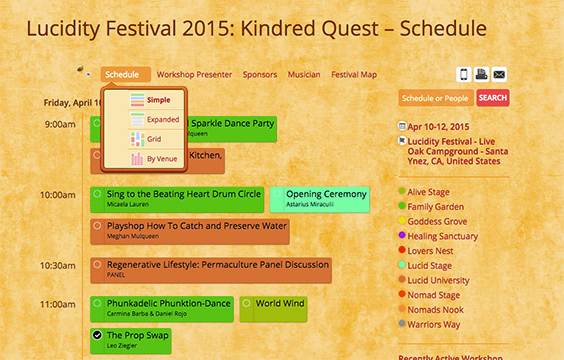 Powered by sched.org and connected to your social media accounts, our schedule allows you to choose the events you’d like to attend in advance, and share it with you friends to create your own personalized Kindred Quest! You’ll notice that the schedule is color coded by stage or environment. 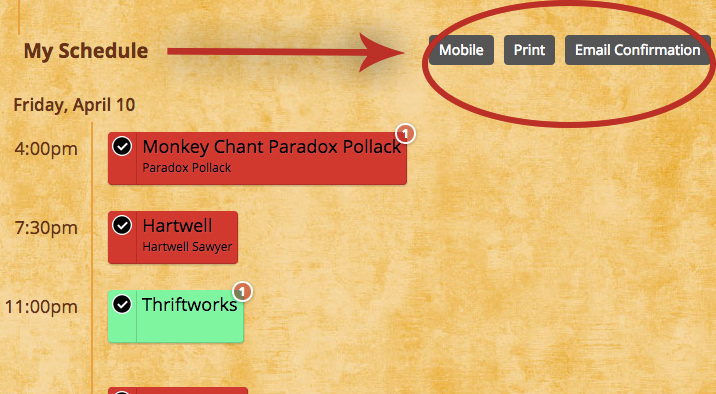 You can customize the layout using the “Schedule” drop-down menu. When you see a workshop you’d like to attend, simply click the circle on the left to “check” it, or you can click “Add to My Sched” in the menu that appears when you hover over an event you’d like to join during the festival. In the drop-down menu on the top left where you see your icon in a circle is a link to “My Sched” which takes you to your own personalized schedule with everything you want to attend at Lucidity! You can print this schedule, e-mail it to yourself, view it on your mobile phone, or even integrate it with your calendar app! NEATO! We encourage you to keep it digital and save the paper – but if you must, that is available for you and we we recommend using tree free paper. With over 200 workshops, 3 main music stages, and 7 themed villages you’ve got some work to do! I would love to plan my Lucidity experience bit unfortunately after driving my bus full of gear for a camp at this event all the way from Desert hearts/Los Coyotes Indian Reservation, I learned that there was no place to park this bus unless I had an RV pass.